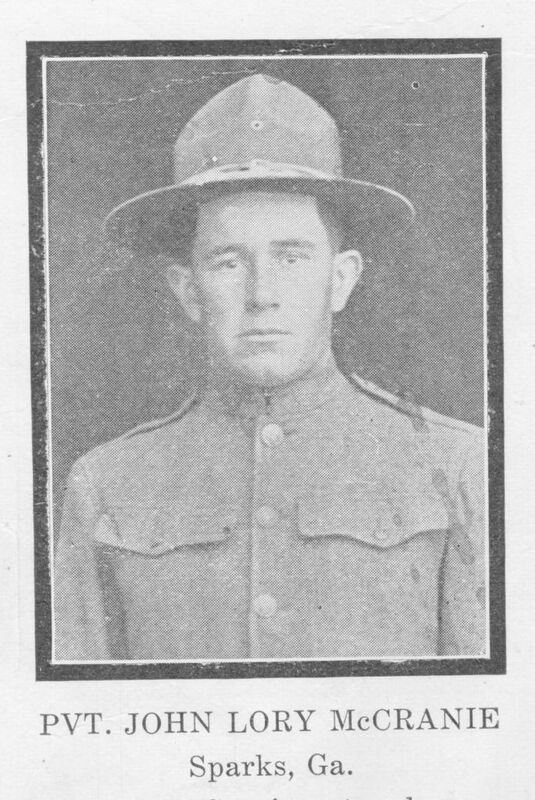 Private Railey entered service at Camp Wheeler. Was transferred to Camp Merritt, N.J., June 11, 1918. Embarked for over-seas June 20th, 1918. Was attached to the 42nd Division and saw service in the battle of Chateau-Thierry, St. Mihiel, Argonne Forest and Sedan. Was discharged from the Army May 14, 1919. Died January 23rd, 1920, of tuberculosis as a result of having been gassed.